EMI Uganda is priviledged to partner with a local ministry, Faithfully Nurturing Children [FNC], to provide Master Planning and Concept Design for a new Secondary School Campus just a few miles north of the capitol city Kampala, Uganda. This campus will have capacity for up to 500 students and will including classrooms, administration, student boarding, staff accommodation, agricultural areas, and sports facilities. EMI Uganda is priviledged to partner with a local ministry, Faithfully Nurturing Children [FNC], to provide Master Planning and Concept Design for a new Secondary School Campus just a few miles north of the capitol city Kampala, Uganda. FNC exists to bring hope to the hopeless through high quality, affordable Christian education. The FNC Base CAmp is strategically located in one of Kampala's largest slubs called Kamwokya. If you are every to visit the current FNC campus, you will know that God purposely planted them in the middle of a war zone for the souls of the community. The current campus is surrounded with extreme poverty, disparite religions, and most challenging of all, fatherless children. 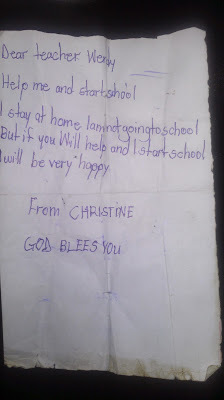 What all of us didn't know, and probably not even Christine herself, was what God was about ready to unleash...It was shortly after reading this note, FNC Academy was birthed. Like most endeavors, our beginnings were humbling; learning mostly as we went. But with our eyes on Jesus, He made it happen. Day by day it became less of a dream and more of a reality. Today, FNC Academy has more than 160 students, Pre-K through 6th grade, and employs more than 32 full time Ugandans. This ministry lives out the gospel command in James 1:27..."looking after orphans and widows in their distress..." EMI is thankful for the opportunity to come along side them in support and would like to ask you to pray and consider joining us in designing a world of hope for Faithfully Nurturing Children's new Secondary School.